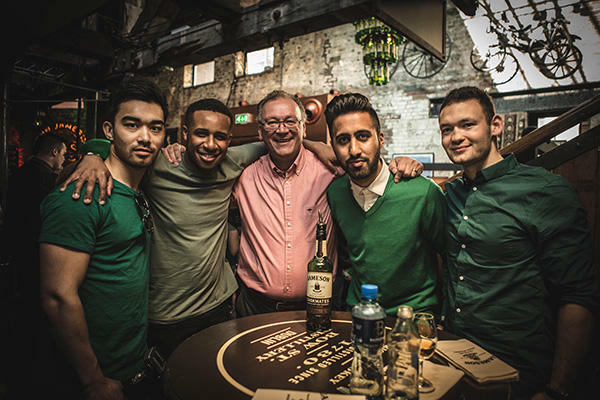 Dublin, Ireland: Jameson, the world’s favourite Irish Whiskey, has enjoyed three days of celebrations for this year’s St. Patrick’s Day, with global festivities centred on its spiritual home in Dublin, Ireland. It was during this meeting of cultures and minds from across the world that Jameson debuted its reassessment of the cocktail classic, the Irish Coffee, specifically for St Patrick’s Day 2016. The perfect Jameson Irish Coffee serve has been created by three experts, bringing together the best of their respective fields to craft a cocktail worthy of St Patrick’s Day. Unveiled at Jameson-owned speakeasy The Butchers, the collaborators – Jameson Head Blender Billy Leighton, renowned mixologist Nick Strangeway and local coffee roasters TwoFifty Square – have deconstructed and reassembled the serve with an emphasis on taste and perfectly balanced flavours. By challenging convention, Jameson aims to see a revival of this often overlooked classic. Jameson’s three days of festivities for St Patrick's Day have brought to life the sights, sounds and provenance of Dublin in a modern way. Showcasing the important and historic relationship between Jameson and Ireland’s capital, guests from across the world enjoyed a journey through underground Dublin from a local’s perspective, which included: a walking tour of Dublin’s celebrated street art, led by this year’s LEB designer James Earley; authentic Irish cuisine at L Mulligan’s Grocer, Fumbally Café and the Drury Buildings; and St Patrick’s Day stalwart, the Bow Street Sessions gig, featuring internationally-known talent including Kodaline, Little Hours and July Talk.